This is evidence of someone not knowing their history, posting photographs. There does seem to be a date discrepancy, which is not totally unexpected in the Bain News Photo collection. In general, dates found on the negatives can mean one of several things: they sometimes indicate when the photos were taken, but they can also refer to a later time, such as the date the photo was added to the Bain photo stock, or, sent out to subscribers of the Bain News photo service. In this case, however, the date range for the negatives, which we are loading in sequence by negative number, seems too early. It may be that Bain sometimes inserted a more recent negative in an earlier range or reused a negative number, though it seems unlikely that he would have had reason to file a photo of Charles Lindbergh much before 1922. 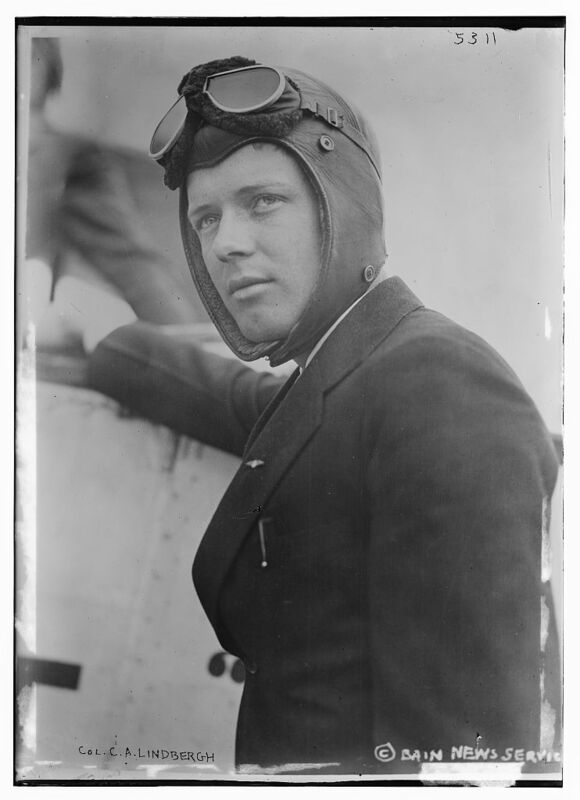 We have at least one photo of Lindbergh that shows him ca. 1923: hdl.loc.gov/loc.pnp/cph.3b09833 -- certainly a youthful face there! (I'll note that we have an even more youthful depiction, showing him as a child in a sailor suit, just barely visible, leaning against his father at the opening of the 60th Congress, in which his father served: Bring up the tiff file and look towards the rear rows in the center of this photo: hdl.loc.gov/loc.pnp/cph.3c29715.) We'll adjust the estimated date in the description and continue to ponder some of the mysteries of Bain's negative numbering practices.